Don’t need your storage rack or shelving anymore? Is unused rack or shelving lying around wasting valuable warehouse space? 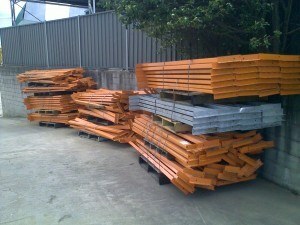 Are you thinking of throwing out good condition pallet racking or shelving? If you answered “YES” to any of these questions, contact us and turn your unwanted pallet rack into cash! Our “Buy Back” service offers a competitive rate to dismantle and remove your second hand rack.